In a candidate forum Oct. 21, candidates Dan Kilkenny and Steve Nass were given an opportunity to speak on why they’re pursuing the vacant seat in Wisconsin’s 11th Senate District. The seat was vacated earlier this year when former State Sen. Neal Kedzie retired. 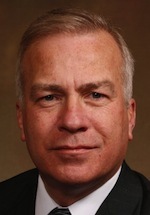 Nass, of Whitewater, represents the 33rd District in the State Assembly. 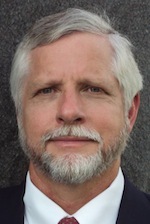 Kilkenny, of Darien, is on the Walworth County Board and the Darien Town Board. Kilkenny, noting that time was too limited to address all the issues facing the state and district, said what inspired him to run was George Washington’s farewell address, which talked about immunity being essential to the liberty of the nation. “I think voters are tired of the endless partisan bickering we have as a result of legislation that does get passed being in the courts and, most often, likely being overturned,” he said. Kilkenny said he thinks the government needs more checks and balances, noting he feels “one-party rule” in Wisconsin is unhealthy. Kilkenny said he believes it is important as an elected representative to represent everybody, noting the color purple, his campaign colors. Kilkenny said he thinks non-partisan legislative redistricting is important, and he believes the state should adopt what he referred to as the Iowa Plan. Kilkenny said the Iowa Plan has non-partisan boards draw the districts for approval from the legislature. “My thought is, it’s important that we have voters choose their representatives and not incumbent representatives choose who they’re going to represent,” he said. Additionally, Kilkenny said he thinks the state needs to address priority of spending – particularly with education and infrastructure – and increase its focus on small business. “We’ve famously heard, ‘We’re open for business.’ I think we’re open for big business,” he said. Kilkenny said the state needs to make it easier for small people to be employers and for people to be employees and independent contractors. Kilkenny echoed previous remarks from Rob Zerban, noting that he also feels the state needs to get healthcare fixed, removing the excessive burden from employers, which would ultimately result in a growing economy and a more prosperous Wisconsin. Nass said he feels he’s made a difference in the position, sticking up for the taxpayers. With regard to non-partisanship, Nass said 90 percent of the bills passed by the Legislature are bi-partisan, though attention is typically directed toward bills that are volatile and representatives disagree on. “I don’t say no to Democrats, just because they’re Democrats,” Nass said, noting two occasions on which he’s worked alongside Democrats because he believed they had good ideas, despite opposition from other Republicans. Nass said he supports driving down income and property taxes, and taxes will not be raised on his watch. Additionally, Nass said he thinks referendums are a great opportunity for citizens of a community to speak out on whether they want to be taxed or not. Candidates were asked whether they would support legislation that would not force communities to put room taxes toward tourism. Kilkenny said with people coming into the community, they’re using the services and those funds should go back to the municipality to support services like emergency medical services and waste removal. However, Kilkenny said he thinks it’s important to look at both sides of the issue and determine what’s fair, rather than have people fight over it. Nass said he thinks it’s something worth looking at, noting he has always felt it should be spent on tourism.